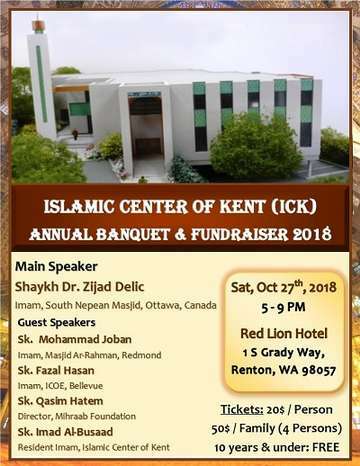 Insha'Allah, the ICK Annual Banquet and Fundraiser 2018 will be on 27-Oct-2018 @ the Red Lion Hotel, Renton, WA. Insha'Allah we will be starting the construction of the ICK New Masjid Development next year if we meet our budget. So, we request everyone to participate and make this event a success.